Well, the next trip is almost upon us and I'm only just mentioning it here. If you want to follow in real time head over to Instagram where I try to post daily and you can follow us through Mexico City, Havana and New York. I haven't done enough planning but the one thing I can tell you is I've bought a lot of guidebooks. I know reading the guides is more effective than just buying them, but sometimes it's one slow step before the other! 2 nights in Mexico City at Hyatt Regency, it's a good value, near the Anthropology Museum. 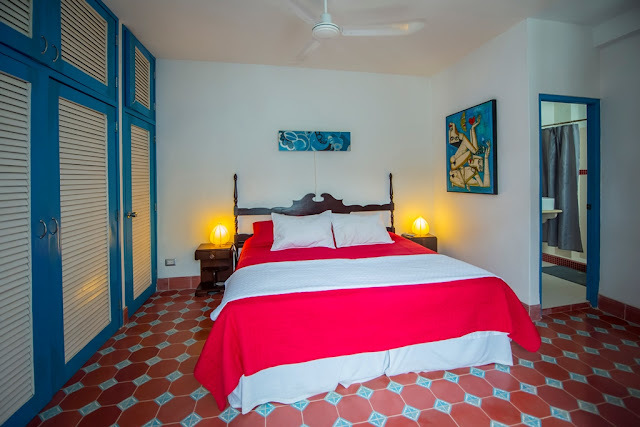 5 nights in Havana in an apartment at Estancia Bohemia. 2 nights in Cienfuegos at Dr Hernan's Casa Particular. 2 nights in Trinidad at Hostal Dr Amaro. 7 nights in Mexico City at the Red Tree House in Condesa. We are flying to and from Cuba with AeroMexico. I did try to get a one way ticket from Havana to NewYork (on one of the Jet Blue charters) but you have to buy flights through an approved travel agent and apparently you can't buy a one way! Once she started lecturing me on that tourism wasn't allowed to Cuba, I just hung up. The sooner we can all booked these flights directly with the airlines the better. This is the place we are staying in Havana which I'm looking forward to. It's located right on the Plaza Vieja and we get breakfast every morning in their restaurant to Bohemia Cafe. Here are a couple of the things I've learnt about traveling to Cuba. To start I'd recommend a helpful New York Time article entitled "How to Go to Cuba Right Now" which clarifies the situation as of March 2016 and is well worth reading. CAN WE GO TO CUBA LEGALLY? I'm may be a Brit but I'm subject to US regulations as a US resident, as is D. as a US citizen. According to existing Treasury Department rules it is illegal for Americans to spend money in or to go to Cuban in a purely touristic manner. To visit you have to conform to one of a long list of approved travel categories including People to People Tours which are educational, visiting family, support of the Cuban People, Sports, religion etc. Ok, the significant change that has come about is that you can now travel independently and that the Treasury Department no longer seems to be policing whether you conform to these categories. Thus you self report which one you fit into. My brother suggested I go as a high jumper and my husband as a religious leader - Yoda perhaps?!! Yes, there are some incredible People to People Tours on contemporary art, architecture etc. but the prices are incredibly high. lets be honest they were shockingly high in the case of a number that I looked at. $4,500 for five days not including air fare, really to Cuba? At that price I'd rather go on safari! I guess everyone paid because up until a few months ago it was one of the few ways to go to Cuba legally. We choose not to spend that kind of money but we are still hoping to have an interesting cultural experience and to learn about contemporary Cuban culture. I've emailed an architect to try and organize a guided tour and spoken to several people about making charitable donations. 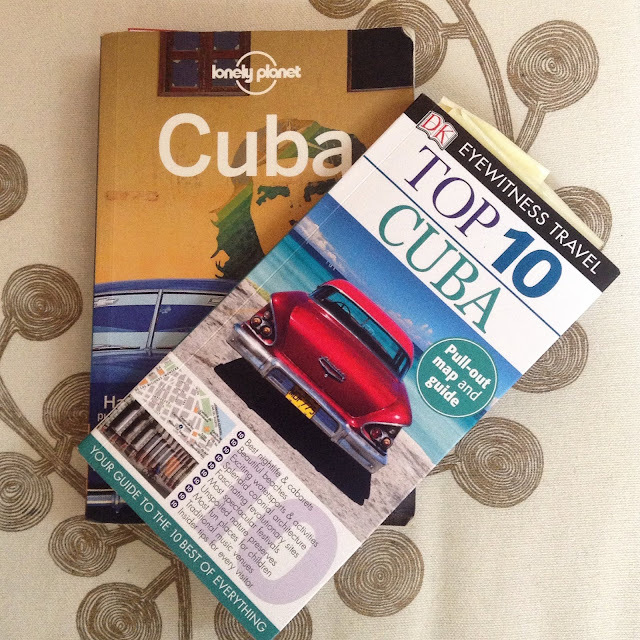 We may not be on an expensive "People to People" tour but we are still hoping to learn as much as possible about Cuba. What is important to understand is that these restrictions were all on the US government side. The Cubans are quite happy for Americans to visit and you can pick up a travel card at the airport which we plan to do in Mexico City. WHERE TO STAY IN CUBA: Planning this trip to Cuba reminds me very much of going to Burma where there were too many tourists stretching an underdeveloped infrastructure. Similarly, it looks like all of the hotels are block booked by the tour companies who seem to have no problem filling up the beds. It's not such a loss as most of the government run hotels have very poor reviews though many of them look like they will make fabulous. 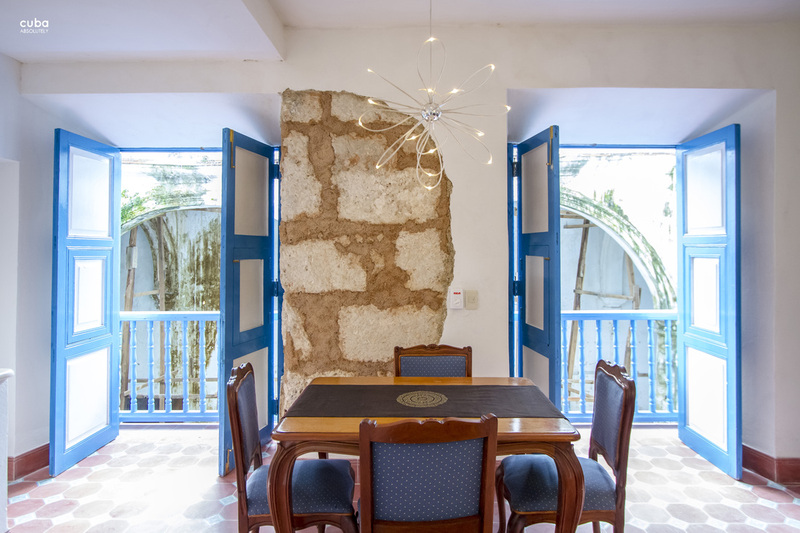 boutique properties when they are renovated. Several people recommended Cuban Junky or the local agency Potato Tourist Services. 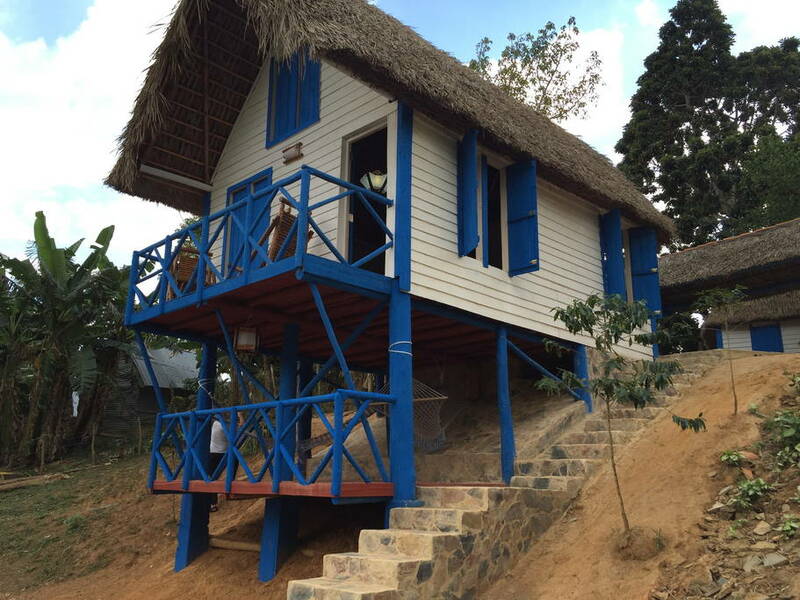 Above is the Cigar Plantation Cabin where we are staying in Pinar del Rio near Vinales. I would have booked this for several nights but availability is something you'll have to wrestle with unless you book well in advance. 1) Seeing reviews and photos of the homestay. 2) The opportunity to prepay with a credit card on airbnb, which means you will be carrying less cash. This is significant because the US embargo means you cannot use your US ATM card in Cuba and this is a country where cash is King. Other visitors, such as the Europeans face no such restrictions and they can use a network of ATMs to withdraw money. 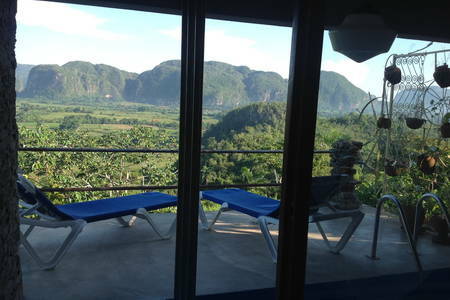 This is one of the places we are staying in Vinales, as you can see it looks quite promising. Our plan has been to seek out interesting characterful properties and to try to find Casa Particulares with English speaking owners. Yes, I can ask basic questions in Spanish but if we want to learn about Cuba and have sustained meaningful conversations we will need to stay with English speakers. This has already been advantageous in setting up the possibility of a charitable donation and an architectural walking tour of Trinidad led by a Professor of architecture. Currently this is all just planning. None of the places we are staying are luxurious but they look simple and charming. The prices vary considerable from $30 per night to $150. We've finished all the accommodation bookings so stay tuned to see if things worked out the way we hoped they would! Here's the bedroom of the apartment in Havana, I'm hoping it looks like this and there is hot water, that would be fabulous! Angela - I'll never get over how Americans can be banned by their government from visiting a country; it seems so ... outrageous! Anyway, well done on cutting through the obstacles. I could just picture your face when the travel agent started on you ... Hilarious! Lol Anna. Astonishingly US govt restrictions on Cuns don't just apply to Americans but to all US residents - even if they are foreigners! It's called the epitome of hypocrisy!